Our previous dispatch (November 8) reported the great news that our team had succeeded in reaching the summit of Cayambe at 5800 meters (19,000 feet). 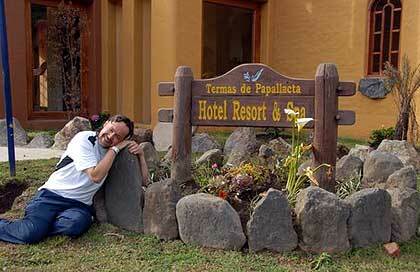 Today we’re relaxing at Termas Papallacta, a wonderful resort and spa that is the perfect place to recuperate from our first climb and look ahead to our climb of Cotopaxi. It’s also a good time to put together a photo record of the amazing 48 hours of adventure we’ve just had. On Wednesday we were at Cayambe Hut where we conducted a climbing school to review techniques, then did some training on the slopes above. Claire practiced crevasse rescue skills in the hut. 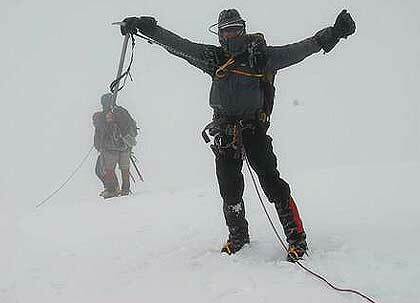 Our training continued above the hut on moderately steep rock. before returning to the hut to rest. 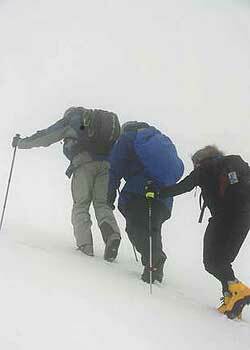 Our summit attempt began at 1:15 the following morning. Using our headlamps to light the way, we again ascended the rock, then made our way onto the glacier. 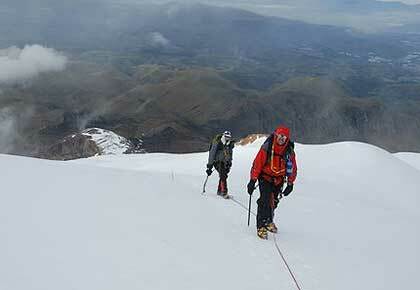 As dawn broke over Ecuador, we found ourselves climbing strongly into clear skies. At 9:00 a.m. the weather was mixed as we reached the summit of Cayambe at 5800 meters (19,000 feet), with the Equator beneath our feet. What a feeling of accomplishment! We were chilled to the bone when we completed our descent and arrived at the hot springs resort where we could clean up and then relax by soaking in the steaming waters. Mike was relieved! Here’s a picture of our current home at the resort. 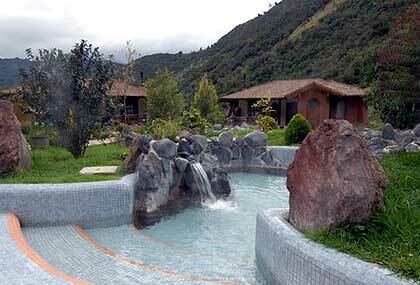 It is a magnificent and inviting setting at an elevation of 3300 meters (10,800 feet) above the Amazon basin. Time to soak and celebrate the tremendous and successful adventure we’re having. 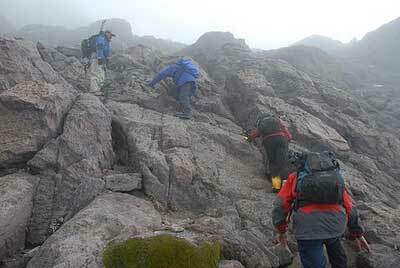 Tomorrow morning (November 10th) we’ll pack up again and be on our way to Cotopaxi, Ecuador’s second highest mountain!